Calling all choco-holics! If you’re looking for a way to sneak in your favorite sweet tooth treat, look no further. 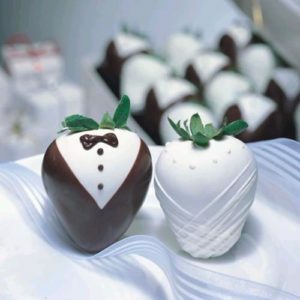 Here are five ways that you can incorporate chocolate into your wedding. 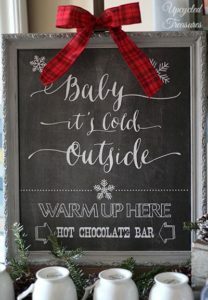 Hot chocolate, chocolate chips, chocolate dipped candy canes, and whatever else you can think of! Completely customize this bar with all your chocolate needs. Who doesn’t love chocolate covered strawberries? You can have them wedding themed or dipped to fit your wedding colors. This is a wonderful favor idea! 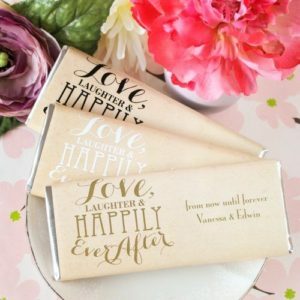 Have your own wrappers made to make them the most perfect and memorable treat for your guests. 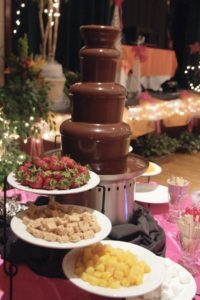 The chocolate fountain is a party favorite. Pick all kinds of goodies to smother in the chocolaty goodness. 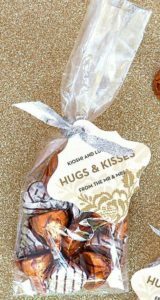 Chocolate favor bags are not only delicious, but affordable! Customize your candies to make them your own. Check out all of these ideas and more on our Pinterest! Happy planning!